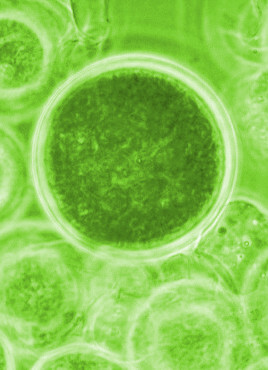 Experts say toxin-producing microalgae could be rafting its way to Australia. Research has shown that the range of some toxic marine microorganisms is expanding, but until now, exactly how they disperse has remained largely unknown. Experts took the opportunity to test the hypothesis that harmful surface associated microalgal species could travel long distances using seaweed and seagrass “rafts” during a voyage on the CSIRO Marine National Facility RV Investigator in 2015. PhD candidate, and lead author, Michaela Larsson from the UTS Climate Change Cluster said that what they looked for were “epibenthic dinoflagellates” which refers to a group of microalgal species that are usually found associated with sediments or on the surface of seaweeds and seagrasses. “We’d already ruled out the likelihood that viable cells of these organisms could be dispersed suspended in ocean currents because an analysis of plankton samples collected over 50 years failed to reveal their presence,” Larsson says. During their voyage, researchers collected drifting seaweed and seagrass fragments from the East Australian Current and identified the associated microalgal communities to see if epibenthic dinoflagellates could remain linked with these ‘rafts’ once transported offshore. “Viable cells of potentially harmful dinoflagellates from the genera Coolia, Amphidinium and Prorocentrum were found associated with rafts therefore revealing rafting as a potential vector for dispersal of these organisms,” Larsson says. Phylogenetic analyses confirmed the presence of Coolia palmyrensis on a drifting Sargassum sp. raft, the first report of this potentially harmful epibenthic dinoflagellate species in temperate Australian waters. Further investigation is needed to confirm if viable cells of these organisms can be delivered to shallow coastal waters and successfully colonise new coastal habitats. The researchers say that managing the risk to human health from toxin producing microalgae will require monitoring their diversity and abundance as well as ecological research to understand whether their distribution is changing.